Today’s LEDs set the standard for light comfort, color quality and controllability. Even better, they cost a lot less than you might think and they can deliver huge savings to your bottom line. Electricity is a major expense for facilities and can easily cost organizations $10,000s a year. For most buildings, lighting is the largest electrical draw, using nearly one fifth (17 percent) of the electricity consumed in commercial buildings. LEDs are known for being extremely energy-efficient, but it can be a surprise just how efficient LEDs are. First off, it’s better to think of conventional light sources as heaters that give off light as a byproduct of producing heat. Incandescent bulbs emit 90 percent of their energy as heat and CFLs emit about 80 percent as heat. 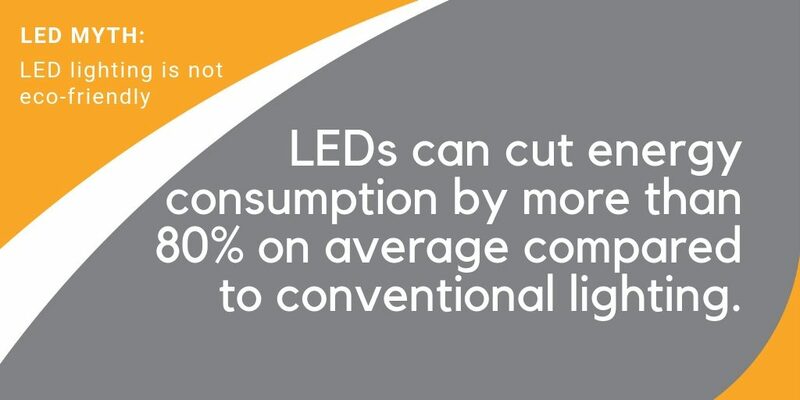 LEDs use about 20 percent of the total energy that legacy light sources use and waste almost none of it as heat. Put another way, if it costs you $100 to illuminate a space with conventional lighting, you’re paying $80 to heat the room and $20 to light it. If you replaced the conventional lighting with LEDs, you would pay the same $20 to light the space, but the $80 wasted as heat would go back into your operating budget. All that heat emitted by conventional lighting can also increase air conditioning costs, as A/C systems run more to cool spaces warmed from hot lights. When the Queens Museum in New York City upgraded from halogen lamps to SPEQ, a clean-styled LED track light system from Amerlux, energy use was slashed by 90 percent. The only thing better than getting a great product is getting someone else to pay for it. There are numerous opportunities available at the federal, state, and local level for rebates and tax credits to help offset the cost of switching to LED lights. These rebates and tax credits can shrink the payback period considerably, so you can quickly realize a return on investment. For example, retrofit projects with Amerlux’s Avista pedestrian light product are eligible for tax credits under the American Recovery and Reinvestment Act of 2009 in addition to incentives from local utilities. 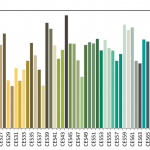 Not only can LEDs provide a decade or more of optimal service, their light quality doesn’t begin to depreciate until after 50,000 or more hours of use. A high-pressure sodium or halogen lamp may provide light for several thousand hours, but the quality degrades quickly before finally burning out. The light from HPS lamps begins to deteriorate after just 100 hours and halogens after 2,000 hours. In contrast, LEDs are consistently perfect without flickering or color shifting for 50,000+ hours. That means if you left the light on for eight hours a day, it might be 20 years before it needs replacing. To put LEDs’ longevity in perspective, if you installed LEDs on a college campus today, the children of today’s students could enroll at the university before the LEDs need replacing. Such a long operating lifespan also delivers tremendous maintenance savings. 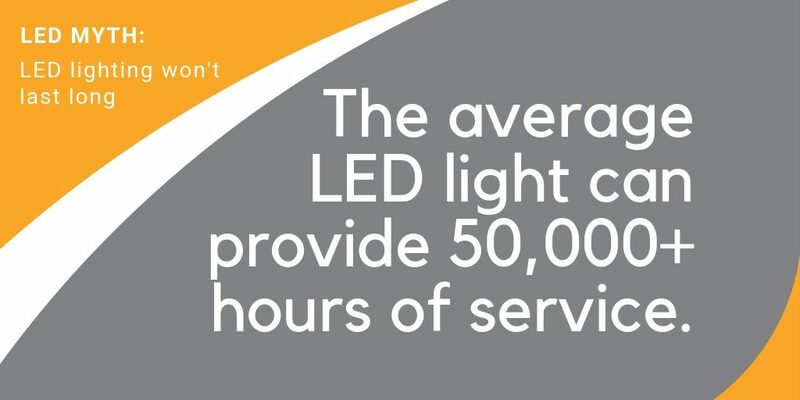 LEDs rarely need replacing, saving time, money, materials, labor and equipment. 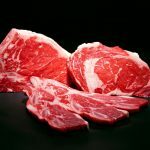 Contributing to their longevity, LEDs are singularly durable, and their toughness comes from their solid-state construction. A LED is made from a chip inside an epoxy resin. LEDs lack the fragile filaments, pressurized gases and delicate glass bulbs that make conventional light source prone to breakage. Thus, LEDs are highly resistant to damage from vibrations, shock and impact. LEDs make an excellent choice for exterior lighting as they can also withstand vandalism and traffic impacts. LEDs have more control options than any light source before them—with the right controls, you can adjust LED lighting any way you can imagine. You can dim LEDs, change their color temperature, control them wirelessly and so much more. For example, to further save on energy costs, you can implement time-based scheduling to turn the lights on and off automatically. Another option is daylight harvesting. Also called “daylighting,” daylight harvesting dims interior lighting in a space when the ambient natural light is sufficient or when the space is unoccupied. Unlike most conventional light sources, dimming LEDs does not reduce their lifespan and does deliver energy savings. LEDs can operate anywhere between 1 and 100 percent of their full output and they get even more efficient as the power is reduced. Dimming LEDs can also extend their operating life a little bit, as the LED produces less heat when it’s dimmed. Of special interest to facility managers are the wireless control options, which make controlling large networks of exterior lighting a breeze. The controllability of LEDs is a huge benefit of the technology and can deliver even greater energy savings in addition to making spaces more customizable and human-centric. Pairing LED lighting with intelligent controls makes for a smarter and more sustainable solution. 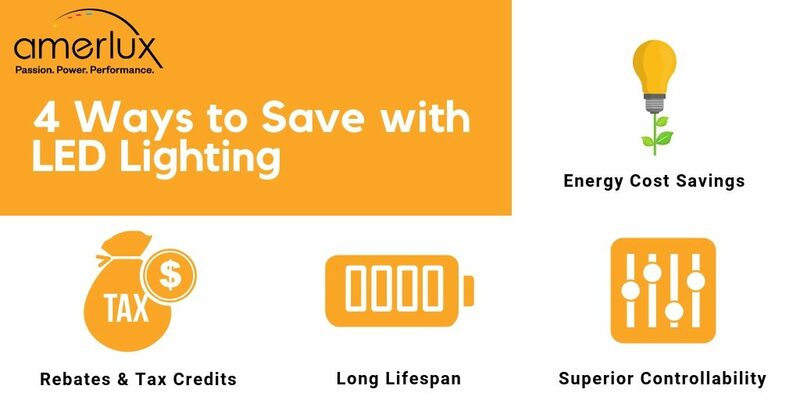 When you combine the energy savings, maintenance savings, rebates and tax incentives that LED lighting delivers, the payback period can be as short as just a few months. Discover how you can lower your operating costs with LEDs.